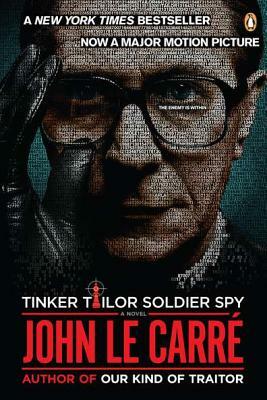 Featuring George Smiley, this New York Times bestseller is the first installment in John le Carre's acclaimed Karla Trilogy. From the author of A Delicate Truth and The Spy Who Came in from the Cold. John le Carre's new novel, A Legacy of Spies, will be available from Viking in Fall 2017. The man he knew as -Control- is dead, and the young Turks who forced him out now run the Circus. But George Smiley isn't quite ready for retirement--especially when a pretty, would-be defector surfaces with a shocking accusation: a Soviet mole has penetrated the highest level of British Intelligence. Relying only on his wits and a small, loyal cadre, Smiley recognizes the hand of Karla--his Moscow Centre nemesis--and sets a trap to catch the traitor. New York Times bestselling author John le Carre (A Delicate Truth and Spy Who Came in from the Cold) was born in 1931 and attended the universities of Bern and Oxford. He taught at Eton and served briefly in British Intelligence during the Cold War. For the last fifty years he has lived by his pen. He divides his time between London and Cornwall.